Designed for the harsh marine environment with IP67 waterproof rating terminal blocks, Juice high efficiency marine and RV flexible solar panels provide the ultimate alternative energy solution for marine or motorhome use. 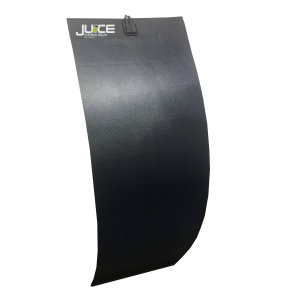 The latest Juice Generation II flexible solar panels now utilize a high tech polymer top layer to provide longer operational life than any first generation flexible solar panel. 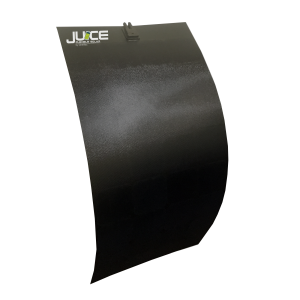 Gen II panels are also supplied in ‘All Black’, to provide a stylish, modern look and improve the aesthetics of any installation. Furthermore the versatility of light weight and flexibly make installation extremely simple on curved roofs or cabin tops of motorhomes and boats. 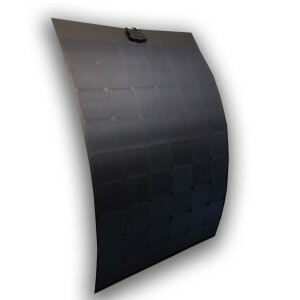 Panels can be mounted by screwing or gluing to any surface and can be supplied with optional fabric trim and eyelets. 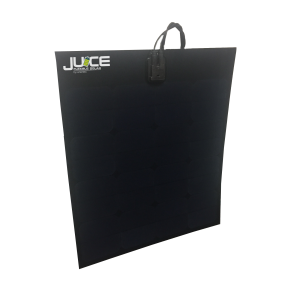 Juice Flexible Solar panels utilize SunPower™ cells that provide over 22% efficiency making them as efficient as the highest quality rigid panels. 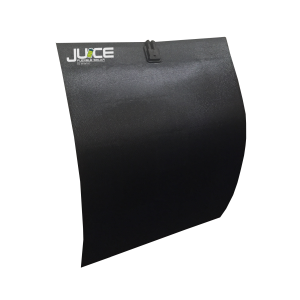 Coupled with our MPPT solar regulators the Juice Flexible Solar panels can deliver free solar power to recharge batteries, run refrigeration and a host of other 12 or 24V appliances.